Well... here it is. First attempt with a new mascara! I usually have trouble when I first use a brand new tube of mascara and then it usually evens out by the third or fourth time I use it. I'm on my fourth try now and it has gotten better, but my first try was pretty scary looking. Eek... it looks like I have a grasshopper leg or something coming off of my eye! When I first applied it to my lashes it immediately clumped them together into four groups... like four clumps of spikes... it was odd. I kept brushing through with my lash comb but it was removing too much mascara and made my lashes look skinny and short. So, after fighting with it for ten minutes or so I ended up with this compromise- short but dark and clumpy lashes! Second time wasn't so good either, I'll post that in a bit. Third try was marginally better but I forgot to take pictures of it! The eyeshadows were pretty at least. So much beautiful sparkle in those Aromaleigh shades. Shame. *sigh* Oh, and the eyeliner? Milani Liquif'Eye? Phenomenal. I like them even better than Urban Decay 24/7s... they just don't come in as many colors. I've been meaning to review them. They're awesome, total drugstore hidden gem, I can't believe they're under $7! Oh dear! 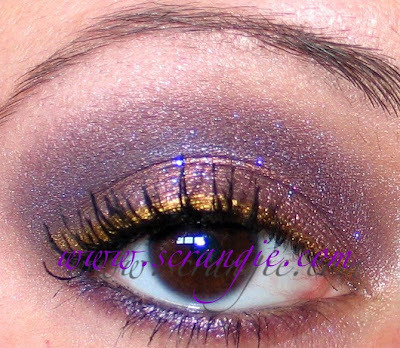 That is GORGEOUS SHADOW ruined by funky mascara for sure! I'm glad you said the grasshopper legs thing because I thought it reminded me of the fly legs lashes that were going around and I didn't want to be the first to say it. I will stay away from this shadow. Seriously, though. I want to pick your brain about shadow combinations. I find you very inspiring! 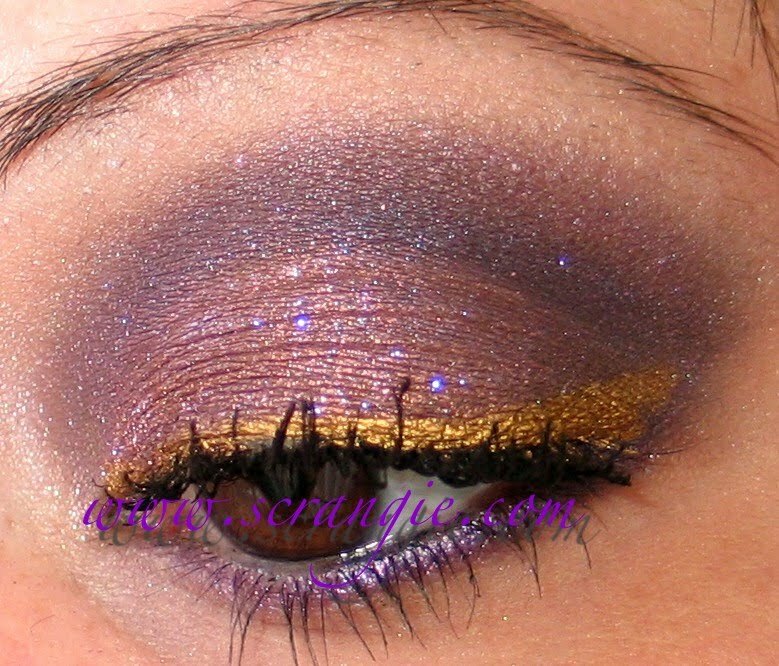 This is what we used to refer to as "Tammy Faye" lashes: spiders attached to eyelids! Not good! It's such a shame because the rest of your eye look is so beautiful. I hope you do a review on the eyeliner soon. I love liner and wear it always. 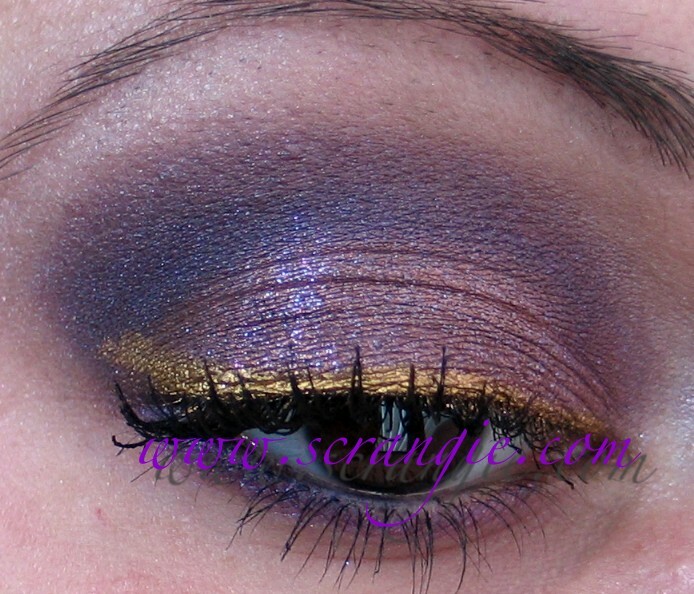 Aromaleigh has some beautiful shadows. You do beautiful eye makeup with them. Pretty colors and I like the eyeliner. I love your make up. And I adore that mascara, it's my current favorite one! Two fail EOTDs from last week.